While on a tour of businesses in eastern Washington in early August, Dino Davis spotted an opportunity. 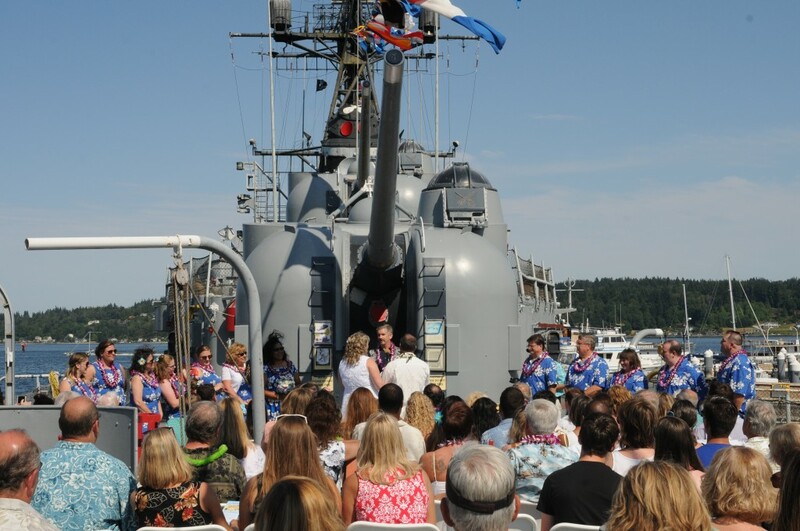 The Bremerton City Councilman was listening to an executive producer of the SyFy show “Z Nation,” who mentioned that the show was in need of a Navy ship for filming. “I raised my hand and I said I know a guy,” Davis said. Not even two months later and the show is here in Bremerton. 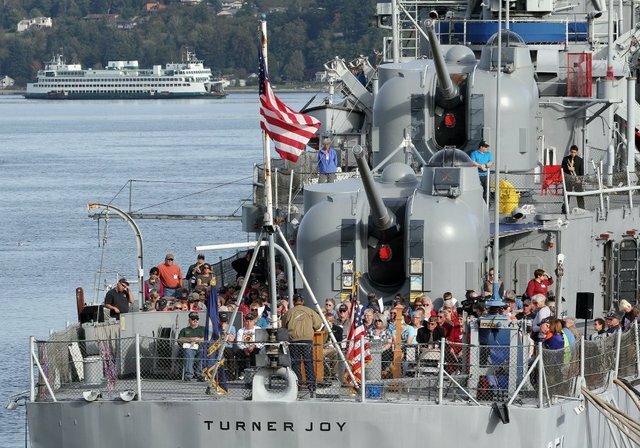 On Wednesday, members of the production company The Asylum, which makes the show, will set up on the USS Turner Joy Museum; filming will commence Thursday, according to John Hanson, president of the Bremerton Historic Ships Association. A sign went up at the Bremerton Marina to alert boaters and onlookers that “strange noises including gun fire, screaming and shouting,” will be part of production. “In addition, the characters will be in full make-up and dressed as Zombies,” it reads, adding that a Zodiac boat will be in the water Friday as part of filming. Davis said he’s pleased that the film crew has chosen Bremerton as its backdrop. He was on a tour of Eastern Washington businesses put on by the Puget Sound Regional Council and the Seattle Chamber of Commerce, one that included stops in Spokane, where The Asylum is based and is taking advantage of the state’s film incentive. I was stationed on the U.S.S. Turner Joy back in the mid 70’s. It is good to see the old gal still getting the attention she deserves. A great ship with lots of history.